-- Select a Size/Color -- One Size - 5 cups (1.2L) - Out of Stock! 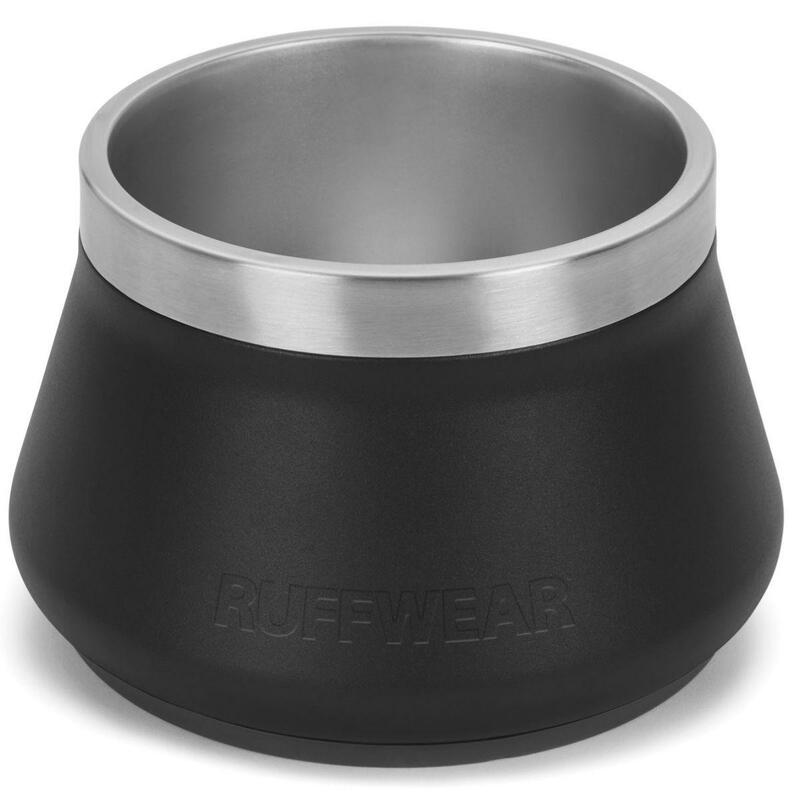 Whether going to the mountains, trail, or park you and your dog will love the Basecamp Dog Bowl by Ruffwear! Pack the water and food and create your next adventure! The Basecamp Bowl by Ruffwear - Obsidian Black is a necessity for your canine friendly adventure. 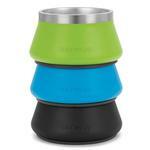 Its design is not only stylish but also makes it easier for your pup to eat and drink with its concave bottom. Its stainless steel and powder coat finish makes it durable for long lasting enjoyment. Happy adventures! Posted On 05/30/18 by Hyo K from New Castle, DE Yes, Hyo K recommends this product! It is deep. My dog doesn't prefer to it, because my dog like to use its nose to set things spread on a wider bowl or plate. But, my dog use it anyhow for food bowl. For water, my dog like to use this bowl a lot. Since it is deep, my dog doesn't touch the bottom of the bowl with its tongue. For that, it enjoys drinking water out of this bowl. Also the quality of the stainless steel is quite good. It's easy to clean. Also, they stack together so that after the feeding time, I can stack them together; and put aside to shelve. It's great. Posted On 02/08/18 by Hyo K from New Castle, DE Yes, Hyo K recommends this product! I have three of these (each color). One for water, other for kibble, and another for raw food like chicken or meat. It is very easy to clean because it is made of good material (stainless steel). It can be stacked so that I can bring them to camping sites as well. The only down side is that it is a bit expensive.